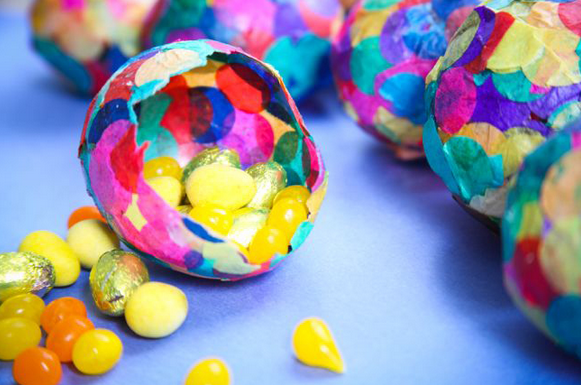 Paper mache eggs are a fun way to hide Easter treats or decorate for an Easter celebration and these DIY confetti paper mache eggs add a whole lot of fun color to both. You could even hide confetti INSIDE the confetti eggs! Check out the paper mache confetti egg tutorial over at Henry Happened.